It’s hot in Nashville! 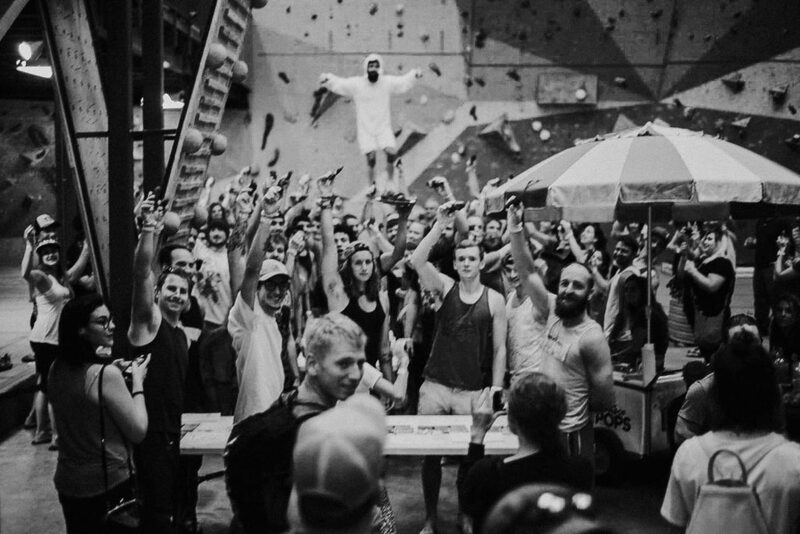 So hot, that our buddies over at Climb Nashville decided to make sure that everyone at their bouldering competition is sweating… by adding some Nashville Hot Chicken to the mix! Along with Hattie-B’s Hot Chicken, Honky Tonk Brewing, and Live Wire Studios, we are so excited to be a sponsor for this crazy event! Here’s how it works: for every piece of Hot Chicken you eat within the specified time, you’re points will be multiplied. There will also be a Jumpin Jimmy Dyno Comp as well, which will surely be fun to watch! 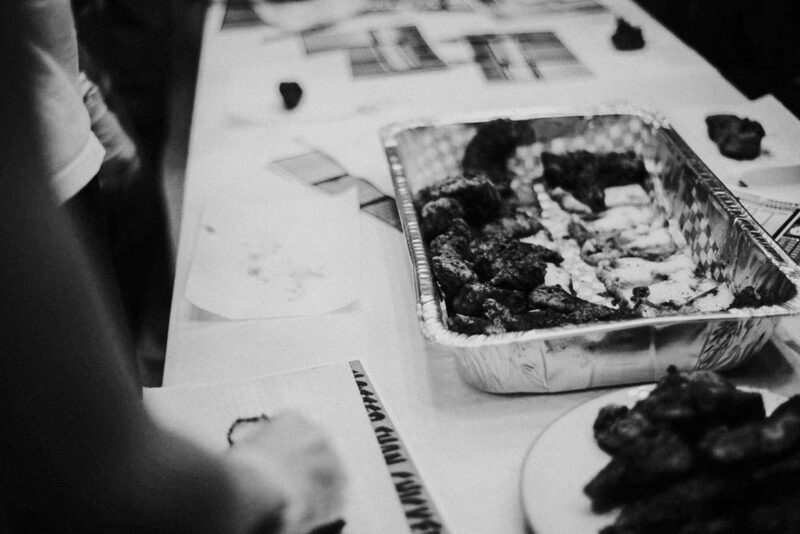 Will the hot chicken help you earn extra points or will it be detrimental to your climbing? Who knows? There is only one way to find out. 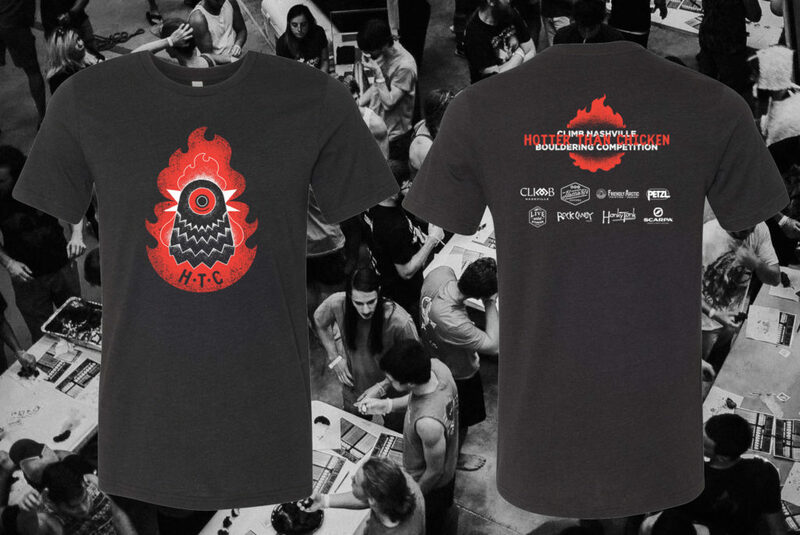 This year’s tees are looking super awesome! They’ll be printed on one of our favorite tees, the Bella+Canvas 3001 in Black Heather. With our water-based inks, this design will pop and they’ll be some very comfy tees to have the chicken sweats in! Each tee will be free with registration to all participants! Register HERE! We’ve been happy to have been Climb Nashville’s Screen Printing and Apparel provider for a while now. A lot of us here at the shop love to climb, and they are by far the best climbing gym around! With two locations they provide an easy to get to, fun workout worth getting up early for! Make sure to come out to this event, even if it’s just for the free beer (!!!) and check out their super awesome facility over at Climb Nashville West, August 5th! Be sure to browse their other t-shirt and tank options that we’ve printed while you’re there! Stop by our sponsor booth and say hey, grab a koozie or a poster, and watch some top notch climbing!